You've reached Brain Freeze! 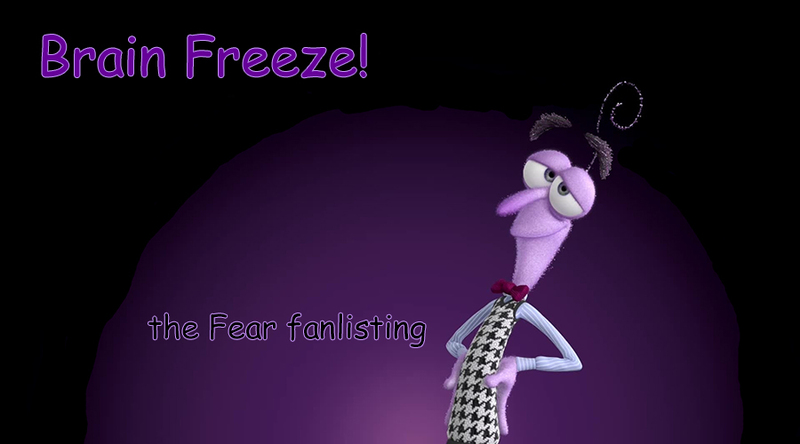 the only fanlisting listed at The Fanlistings Network for the character of Fear from the hit animated movie Inside Out. If you are a fan of Fear, please consider joining the listing!